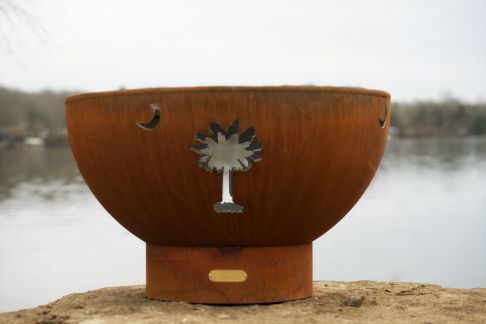 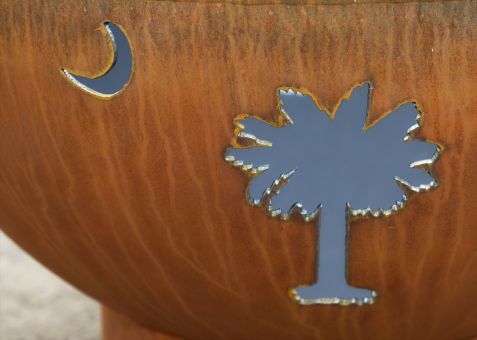 Moonlit palm trees encircle the Fire Pit Art Tropical Moon 36" Fire Pit. 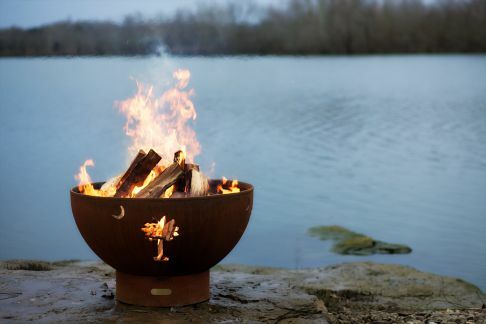 With the Tropical Moon Fire Pit, you'll almost be able to feel the rush of saltwater over your skin and imagine the reflection of the crescent moon in the placid water. 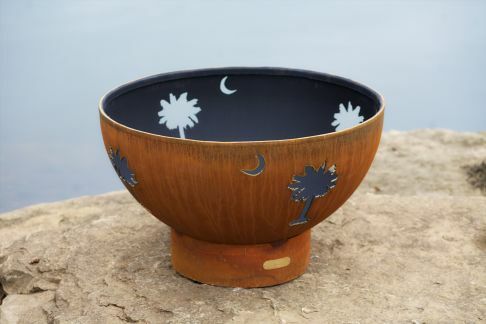 Its precision cut moon and palm tree design will fit perfectly anywhere, from coastal and tropical settings to climates that need a little bit of extra sunshine.